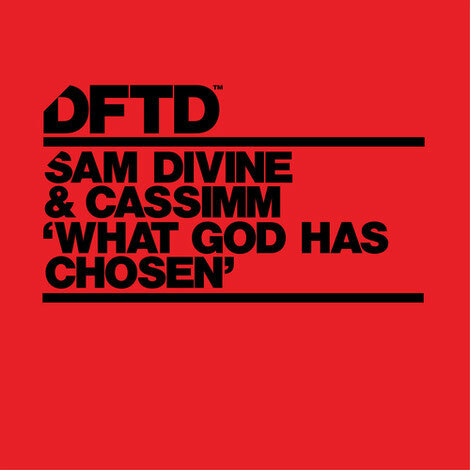 Sam Divine and Cassimm join forces once again for their latest co-production on DFTD, following up on the pair’s previous EP, ‘In Da Nation’. It’s been a good year for Sam, whose DVINE Sounds imprint apparently continues to rise, alongside playing global hotspots and supporting Defected at numerous club shows, festivals and their Ibiza residency at Eden. Cassimm’s 2017 has been just as good having released records on DVINE Sounds and Low Steppa’s Simma Black imprint, meanwhile keeping up a busy tour schedule. ‘What God Has Chosen’ possibly demonstrates a maturing studio sound from the pair, packed with tight rolling grooves, synth stabs and build-ups. The track has apparently become an anthem for Sam’s ‘Openers’ live concept, showing a versatile deeper-reaching sound at home at the beginning or end of a set. The latest effort from these two artists is further evidence of the chemistry that happens when they step inside the studio together.